Gearing up for the much-anticipated San Diego Comic Con (July 19-22), The Star Wars Show has made some very exciting announcements. Among other things, they showcased the latest from Gentle Giant, who will be available at SDCC in booth #3513. 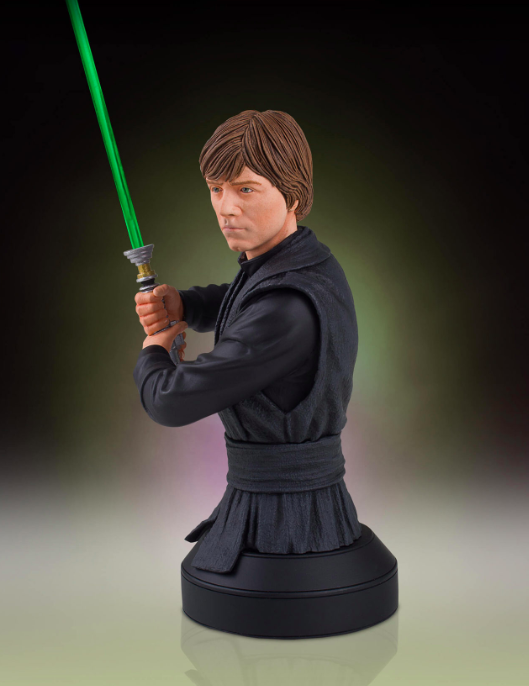 With a switch to activate the green lightsaber wielded by the Jedi Luke Skywalker, the new 1:6 scale mini bust is the product of state-of-the-art 3D technology, with final touches being added by artists with a meticulous eye for detail, hand-numbering and hand-painting each of the 1,000 pieces. The mini bust will be available at SDCC for $125, although Gentle Giant has set aside a number of them for members of the Premier Guild Collectors Club, who can pre-order starting this week. Check out the exclusive images from StarWars.com below!